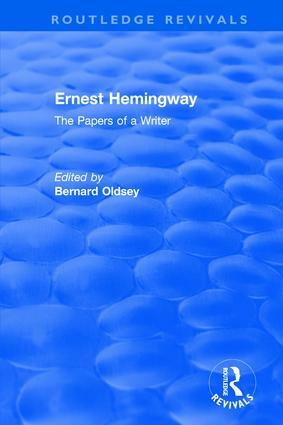 Originally published in 1981 Ernest Hemingway is a collection of papers from the Hemingway Collection conference of 1980. The essays are based on presentations from the commemorative conference, and combined into this collection, provide a key biography of Hemingway. Collectively, the book contains clues to collective, refined, and substantially new critical statements about his canonical works, how they were written and how they can be read considering the conflated texts.